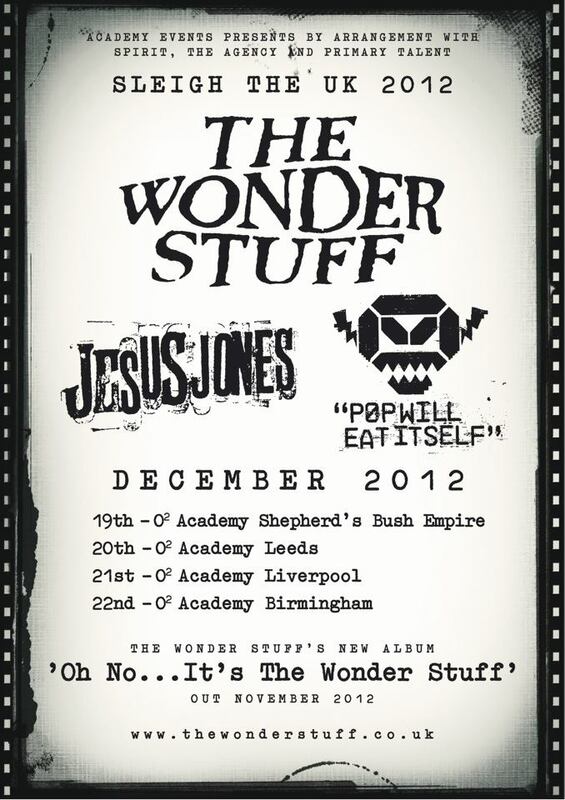 The Wonder Stuff are touring in December 2012 with guests Pop Will Eat Itself and Jesus Jones. Tickets available at Ticketweb from 18 May 2012 9 am. The pweination/forum may include links to presale of tickets. Join up to find out.